Simulated Emerald: The Simulated Birthstone for May. From the French `esmeralde` meaning `green gem`. A symbol of immortality, it is said to improve memory, wisdom and intuition. To the Romans, emeralds symbolized nature and aid fertility. 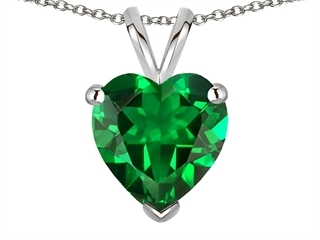 This stunning Star K ™ 8mm Heart Simulated Emerald Pendant Necklace, available in a range of metals including 14 kt White Gold, 14 kt Yellow Gold and 14 kt Rose Gold. 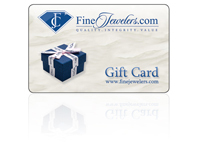 This attractive design is set with 1 stone prong set green Heart Shape Cubic Zirconia i2-i3 clarity. This design measures 8.00 mm wide, 13.00 mm long.